The new Bud Light! Can't wait to get in your mouth! Bud Light. So light you don't even have to put the bottle to your lips.. 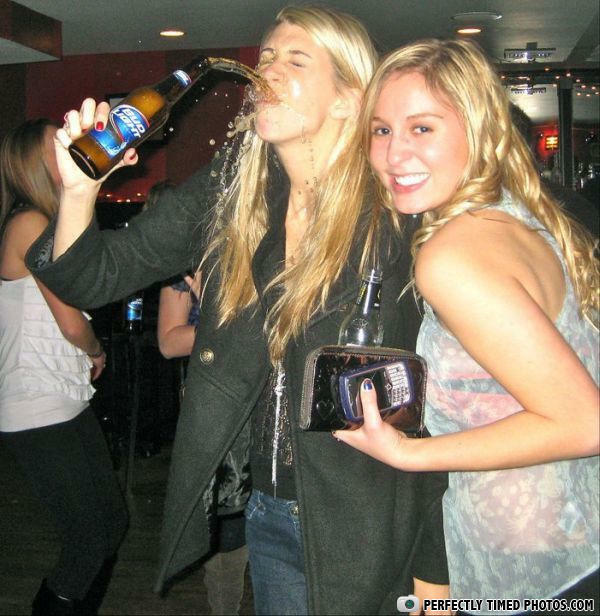 Drinking: Your doing it wrong. It's OK, she's used to elongated objects exploding in her face. Blonds !! What can i say !! Nerver forget to open mouth before drinking ! This is the MANLY way to drink a BEER! Photo beering. The new fad. How did she even manage that? Hehe. They told me to shake it up before I gave it to her. I thought only champagne did this. In Soviet Russia, beer drink YOU! As Chris walked by, the perfect opportunity for a bottle tap presented itself. What do you call it when you almost win?